Christianity is facing great opposition. No one is being thrown to lions, but many followers of Christ face persecution because of their beliefs. At the very least, most know how it feels to end up on the wrong side of a "politically correct" conversation. More than ever before, we need believing and behaving disciples — men and women who are ready to stand up and stand together to change the world as early Christians did: one righteous choice at a time. 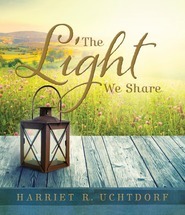 Filled with personal experiences and insightful stories, this book emphasizes the importance of living in accordance with our values every single day, with practical suggestions for how to actually pull it off. "Christ doesn't just want people to acknowledge His grace," writes Brad Wilcox. "He wants them to be transformed through it. He doesn't just want people to come to Him. He wants them to become like Him — a process that takes place 7 days a week, 52 weeks a year, and throughout all the years of our lives. There is no question that Brad Wilcox is a wonderful teacher, minister of the Gospel of our Savior, and is brave. He testifies of Christ and gives glory to our Father through his actions and words. In short, he walks the talk. The reason I'm disappointed in the audiobook is that the narrator, David Cochran Heath, reads without the Spirit. There is no conviction, he's simply reading. He doesn't understand or feel the message. In fact, I wasn't sure if this was an automated reader when I first started listening. I truly respect Brother Wilcox and his talent, experience, and skills. I'm truly disappointed that he didn't read his own book. I recommend the book, but not the audio version. As always, Bro Bytheway is humorous, but precise and thought provoking as he delivers 7 scriptures that have greatly impacted him. Well done!!! 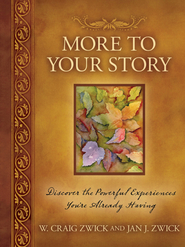 Amazing personal stories, great insights, powerful lessons. Do you walk the walk or do you just talk the talk? Do you live in a way that people know you are a Christian every day of the week – or would they have to see you coming out of church on Sunday to know what you believe? I’d like to believe I am the former, though I know there is always room for improvement. I was having lunch with an associate last week and we were talking about religion—specifically MY religion. He knew I was a Mormon and he was asking about my involvement with the youth program and where I attended church (there are lots of Mormons in Colorado—yay!). During the course of our conversation he remarked that I “did not wear [my] religion on my sleeve.” I have been pondering on that as I read Brad Wilcox’s new book The 7-Day Christian. The 7-Day Christian is about living your beliefs every day and how that can change the world–and more importantly–you. Can you imagine a world where every Christian fully lived the teachings of Christ every day? What an amazing place that would be, and what a different world we would live in. Anyway, I have been pondering on whether I live my beliefs enough, a very appropriate topic as I have read through this book. 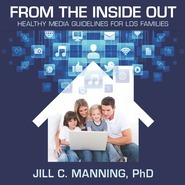 Filled with personal experiences and practical suggestions, it is a primer on living your faith. 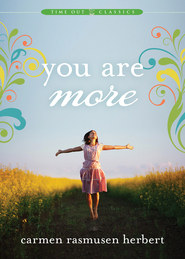 No matter what Christian sect you belong to, this book can help you more fully embrace and live your Christianity. For me, as I read the personal stories, I thought about similar experiences in my own life, when there were parallels, and analyzed how well I thought I did and how I could improve in the future. One of my favorite chapters was “Never Check Your Religion at the Door.” There certainly have been times in my life where that would have made things so much easier, but I never have and have never once regretted it, even when I was (almost literally) shaking in my shoes. I will be returning often to “Seven Days of Re-Creation.” This chapter parallels the creation of the earth with God’s re-creation of us. There is so much to think about in this chapter and such a reminder that in order to grow and change and become all that we can be that we must allow God to work in us and through us. If you are looking for insight and inspiration as you strive to live more fully as a Christian, The 7-Day Christian is a book to add to your reading list. It is hard to find the words to explain how this book can change a persons outlook on life. Brad has written another book that makes a person stop and think and know that they can change and become a better person.He always writes books as though everything in it is possible; and it is. As I read this book I keep thinking how I can change my life and improve it. This book is a book of examples of how people have and haven't changed their lives for the better or not. I know Brad and his family and they lives these principles everyday of their lives. It is defiantly a book that I will be reading again and again. I needed this book at this time in my life. Thanks Brad for another great book. I am a Christian (Mormon) and so I like the premise of living a Christian life seven days a week as opposed to just on Sundays. Try as I may I often fall short in living accordingly every single day so I was eager to see what I can learn from this book on the matter. Although the general principles were not new to me, the author had interesting ways of looking at them from another view. The test in the distinction of this book would then be in its delivery of the content. There I say, "Well done!" This was so because every key principle was backed up with scripture from the Holy Bible and with a personal example, whether his or someone else's. Doing it this way gave the truth character and accountability. For example, in the chapter, "Without Wax", the principle of sincerity was discussed ... "Those who claim to be Christians must live lives that are sincere --clean, pure, sound --the same on the inside as they appear on the outside." (p47). Here, the author referenced Matthew 23:25 and as a personal experience he told the story of when he helped a young mother carry her suitcases. It was a simple act of service on the author’s part but the young mother saw it as so rare as to be convinced that he must have been an angel. Consequently, a principle was defined and now Christians are answerable to that fundamental truth and have a choice to act on what Jesus would have them do. Ergo, the principle of sincerity wasn't new to me but hearing it again in action was invigorating and this book was full of such uplifting remembrance of discipleship. I know I should be living a Christlike life everyday so this book was a magnificent cause to do some reflection and provided inspiration to make it happen. It also imparted strong regard to the benefits of righteous living on individuals and society. Noting the empowerment one has to help change the view of Christians for the positive. **Hardcover provided by publicist in exchange for an honest review. Brad Wilcox is one of my favorite authors and speakers, so I was excited to see that he has a new book and was really intrigued by the title. This book is a great reminder that it's important to work every day towards becoming more Christ-like. In another chapter, he says to not check your religion at the door, but rather to live it wherever you may be. There are times when that won't be easy to do, but it does matter. I also loved his chapter titled "Seven Days of Re-Creation." He tells how the pattern God used when He created the earth is the same pattern He uses to re-create us. Then he shares his experience of losing weight and running (first a 5K and later a half marathon), which he started at the age of 50. I found that to be quite inspiring! There are lots of great gems to be found in this book. It is possible for each of us to make a difference in the world simply by living our beliefs on a daily basis. This is a book I will definitely read again and again and I highly recommend it to everyone! I love fiction books, if you were to look at my "read" shelf, you would see it full of books that have given me hours of entertainment. While I try to live my religion on a daily basis, I admit that there is a fear inside me of rejection. What if I review religious books? Will I offend someone? I began to realize that it is more important for me to read and review the books, not just for me to find strength, but to stand up for my beliefs and let other's know there are wonderful books that can entertain as well as uplift my spirit. I found myself caught up in this book from the Introduction. Brad Wilcox begins with the history of Christianity. I found the story of Constantine fascinating. He recounts the persecution of the early believers of Christ, and how we are now facing a time when it is becoming increasingly unpopular to be a Christian. It forced me to take a closer look at the fears I mentioned above. Who and what do I value? This book is written in a way that is very appealing. Brad Wilcox shares stories to illustrate his points. There are 10 chapters. Some of the titles that I found the most compelling are #3 Never Check Your Religion At the Door, #6 Facing Our People Fears, #9 Standing Together, #10 The Core of Christianity. Those are the titles that stood out to me, but each chapter can be taken and applied to life to help us strive to live our religion more fully and openly. In chapter 2, titled Anyone Can Write a Story, I dog eared page 30. He states " Integrity fears no hidden cameras. The actions that count the most in life are those seen by the fewest people. We feel peace when we know that the size of our audience makes no difference to the quality of our performance. The every-day Christian acts seen only by Christ are usually the ones that make us most like Him." On page 87 in Chapter 7, Seven Days of Re-Creation, another quote stuck out to me. "Choosing to be a 7-day Christian is choosing to be changed." This is a book that I needed. In January I sent my son to Chile to serve a mission for the Church of Jesus Christ of Latter-Day Saints. I decided at that time that I needed to face my fears and choose to change. This book has helped me put my feet more firmly on that path. Thank you, Brad Wilcox, for a wonderful book that helps me see the need for change and firm my desire to do better. I will continue to read fiction books. 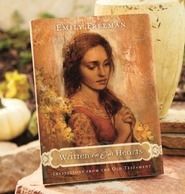 I will begin to read more books that will help me in my eternal path too. Life is too short to be afraid and not true to oneself or core beliefs. So interesting and worth reading! This is a great book to help us better understand what it means to be a Christian and how to show that to others. Not in an intrusive way, but by living a life that shows discipleship of Christ. By taking little steps along the way, we can each become a Christian every day of the week and help make the world a better place. The 7-day Christian is so interesting and full of personal stories, quotes, and examples that you want to just keep reading more! I love the simple way he explains things, his use of classical literature to support his ideas, and how easy it is to read! I absolutely loved this book. It gave me hope that it's really possible to use the Savior's teachings to guide my decisions. I found myself nodding in agreement again and again. But its not just a dry checklist of suggestions. I was so inspired that I couldn't put it down until I was finished. I recommend everyone read this, and then go back and read it again. Brad Wilcox is a wonderful author because all his books are insightful, but they are not the same. In every book he presents new material and ideas I have not considered before. I love what he shares about how early Christians changed the world. I had never thought of it like that before. I loved how he shared his own experiences (writing a first place story in high school and running a half marathon) in a way that allowed me to relate and feel motivated. He uses humor throughout. I loved the stories about and from little kids in the chapter on obtaining childlike attributes. My favorite chapters were the first one on how we can know there is a God and the last one in which he focuses on what is truly at the core of Christianity. These are issues that are debated over and over and most authors get way too complicated for me. When Brad Wilcox teaches about them they seem so simple and clear. I get it. The best thing I can say about this book is that I had an "ah-ha" moment at least once in every chapter. It was truly inspiring! SO WISH I COULD JUST COPY THE WHOLE BOOK FOR YOU! Being a Christian is more than just going to church on Sundays....it is a way of life. "7-days a week, 52 weeks a year, and throughout all the years of your life." Using personal stories Brad Wilcox shows us the ways we can increase our becoming more Christian... our becoming more like Christ. Simple, yet sometimes hard, practices that will shape us into who we were meant to be. * Live life with a sense of urgency and a sense of integrity. * Never check your religion at the door. * Become trusting and happy like a child. * Face your people fears. "Just as the earth went through 7 days of creation, we must also go through 7 days of re-creation...a process of being formed, divided, enlightened, beautified, and filled with life." 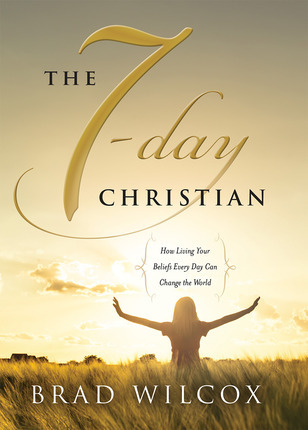 Let this book help you become a 7-day Christian!